Like Noahs ark, the Senate Banking Committee often considers nominees in pairs. 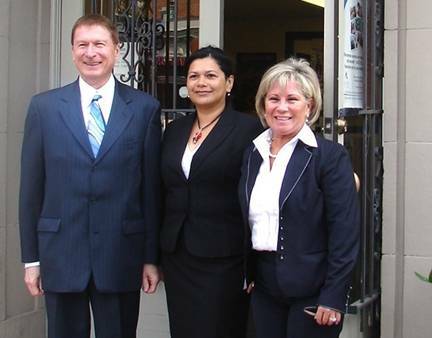 From left to right, NCUA Board Member Michael Fryzel, District Government Employees FCU CEO Carla Leon-Decker and Branch Manager Ana Maria Roig in an NCUA photo from 2008. Like Noah’s ark, the Senate Banking Committee often considers nominees in pairs.